WhatSpa? Media Group has launched a new magazine to help businesses in the UK’s thriving hot tub holiday market navigate the process of ensuring HSG282 compliance by purchasing quality hot tubs from professional suppliers. WhatSpa? Holiday Park Special magazine now joins its sister publications WhatSpa?, WhatSwimSpa?, and WhatSwimmingPool?, in the expanded WhatSpa? Media Group’s list of specialist magazine titles. 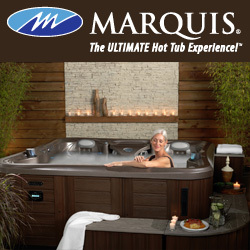 The established magazines currently provide advice and guidance for the consumer audience; while the new title is directed at business owners who operate in the holiday market and are currently seeking to purchase hot tubs for the first time or replace existing hot tubs for their holiday accommodation. Leading suppliers are reporting that holiday park operators are investing heavily in hot tubs for their guest accommodation and WhatSpa? Holiday Park Special will now provide guidance to enable businesses in this lucrative sector select only quality models designed specifically for this market by established manufacturers based in the UK, Europe, the USA and Canada. New designs of domestic hot tubs for ‘business use’ are being launched to the market in time to be installed for the 2019 season; and to help hot tub holiday businesses draw up their shortlists before purchasing they can now refine their choices with the inaugural WhatSpa? Holiday Park Special Best Buy Awards. Meanwhile, one of the key elements of the launch issue of WhatSpa? Holiday Park Special is that it provides a wealth of guidance and expert tips to encourage hot tub holiday businesses to utilise quality HSG 282 compliant hot tubs as part of a ‘best practice’ policy for ensuring high levels of return on their investment. 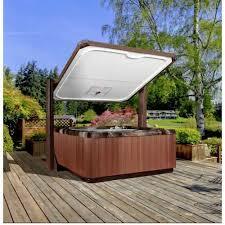 HSG 282, published by the Health and Safety Executive in January 2017, has had a major impact on the way that businesses should operate safely in the hot tub holiday market and; as well as having its own dedicated HSG 282 feature focus in the launch issue; this critical guidance is highlighted throughout the magazine. A host of top suppliers to the hot tub holiday sector have contributed to the magazine’s content, while features within the launch issue include contributions from leading representatives within the holiday park market. Specialist ‘guide’ features to help businesses get to grips with purchasing, installing and operating appropriate ‘business use’ domestic hot tubs and complying with HSG282 include: ‘Spa Buyer’s Guide’, ‘Spa Masterclass’, ‘Testing Testing!’ and ‘Water Care Explained’. ‘Hot Products’ also highlights a selection of the latest wet leisure accessories that can take the strain out of running hot tub accommodation; and these include the new Covana Horizon automatic cover system for hot tubs, pictured, which is being distributed to dealerships throughout the UK and Europe exclusively by Aqua Warehouse Group, and the latest Spin Lab mobile hot tub water testing technology being promoted by LaMotte Europe. Additional features also provide advice on how to enhance profitability and customer enjoyment of hot tubs as part of a luxury hot tub accommodation package. WhatSpa? Media Group Editor-in-Chief Nick Clamp believes this is the perfect time to launch a specialist business guide magazine for the hot tub holiday sector; as the market is currently flourishing after experiencing a wave of unprecedented demand this year, which has been boosted by a summer of exceptional weather and the launch of specialist products that are showcased in the first issue of WhatSpa? Holiday Park Special. “We’re delighted that the launch of WhatSpa? Holiday Park Special will play an important role to help increase the awareness of HSG282 compliance and the critical importance of correct hot tub purchasing from respected suppliers, as well as water testing and water care maintenance,” said Nick. “Our aim is to work with BISHTA and specialist suppliers in the hot tub market to help promote best practices and highlight the latest launches of ‘business use’ domestic hot tubs that are most suitable for use within a business environment, such as the booming requirement of hot tub holiday accommodation hire on holiday parks, as well as lodges and cottages.